In 2010, I was living in a small mountain town in northern Vietnam. In that town I became friends with M and P, two teenaged Hmong girls from a neighbouring village who were later abducted and sold across the Chinese border. Last year, I spent three months in that town investigating M and P’s disappearances and, after P’s return, another two months helping her reconstruct her life there. I’ve never revealed the location of that town. M and P’s stories are far from unique amongst the minority groups of that region, whose poverty and low levels of education make them vulnerable not only to human trafficking, but a host of problems including high infant mortality rates, malnutrition, substance abuse, domestic violence, child marriage and pedophilia. The name of that town is Sapa. Many of you will be familiar with the name, or even with the town itself. Few of you, however, will understand the true degree of desperation marking the lives of the local people of the region. There are numerous organisations in Sapa claiming to support the local minority groups, and some of them actually do – but there is only one organisation in Sapa I would support wholeheartedly and without reservation. Its name is Ethos. Over the past year, I’ve had the pleasure of becoming close friends with the Ethos team, and have been proud to work beside them for the interests of the local community. Like many organisations in the Sapa region, Ethos organises treks, tours and homestays. 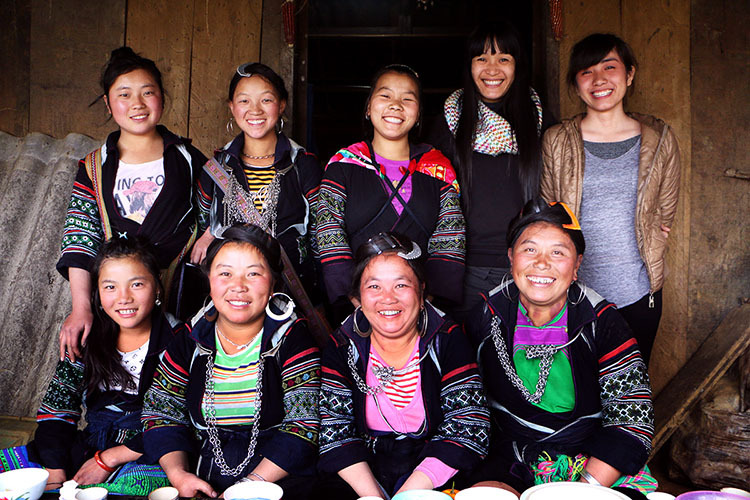 What makes Ethos remarkable is not what they do, but how they do it, and their genuine dedication to improving the lives of the local Hmong and Dao people. As you’re likely aware, The Human, Earth Project accepts no advertising of any form, and any organisations are named through the Project only with deep respect and appreciation. Government regulations now threaten the continued operation of Ethos in the Sapa region, and Ethos have put out a call for assistance. To learn more, and to find out how you can help, take a moment to check out the full story here.